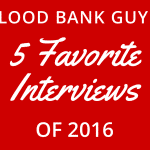 A few years ago, an intern called me and insisted that the blood bank staff was being uncooperative. This young physician stated that his attending physician had asked him to order a “Direct and Indirect Coombs,” and he had done so. The blood bank technologist told him that both tests had been done, but this fine young doctor couldn’t understand why there wasn’t a result in the computer labeled as “Indirect Coombs.” He said that he could accept the result called a “direct antiglobulin test,” but the technologist would not issue a report that was labeled “Indirect Coombs” (he mentioned that his attending was very demanding, and I am pretty sure that he was afraid for his life, but I may have misinterpreted the panic in his voice and the fact that I could hear his heart pounding through the phone). He somewhat forcefully “requested” that I tell my staff to issue an appropriate report. If you’re thinking at this point that conflict resolution training should be part of medical school curriculum, you are not alone. And, if you see nothing wrong with what this young doctor demanded, chances are you don’t understand the Direct and Indirect Antiglobulin tests (DAT and IAT, respectively) quite as well as you could! 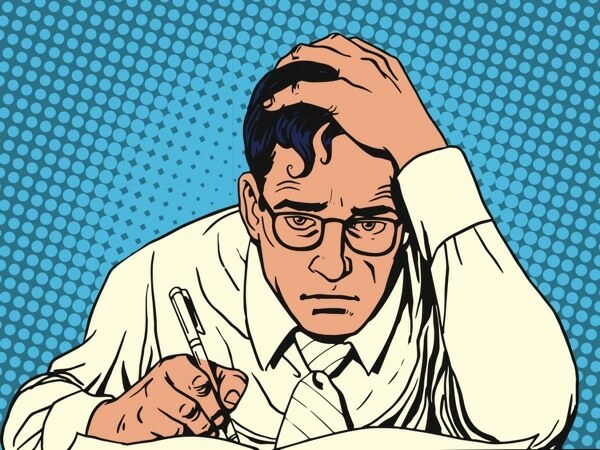 You aren’t alone, though; these are two of the most mysterious laboratory tests to clinical staff, students, and less experienced laboratorians. This post will describe the differences and similarities between the DAT and the IAT, and how each of them is used. Tuck this away as, regardless of your role in patient care, this is a question you’re likely going to need the answer to at some point. 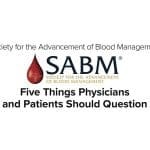 Let’s just start with the “name thing!” In my experience, most clinicians call these tests “Indirect Coombs” and “Direct Coombs,” while most blood bankers refer to them by their more proper names: “Indirect Antiglobulin Test” (IAT) and “Direct Antiglobulin Test” (DAT). That difference is where much of the confusion for clinicians arises, because while everyone is talking about the same tests, they are speaking in different dialects! 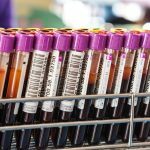 Beyond dialects, though, there is a slightly longer explanation for the miscommunication frequently invoked by these two tests, and it starts with a look at the two types of immunoglobulin (antibodies) we worry about most in the blood bank: IgG and IgM. These two antibody types react in different ways with target antigens on red blood cells (RBCs). IgG (see blue arrow in image below) is a very important antibody in the immune response, but individual IgG antibodies are hampered in interacting with RBCs (and thus being detected in laboratory testing) by their structure. 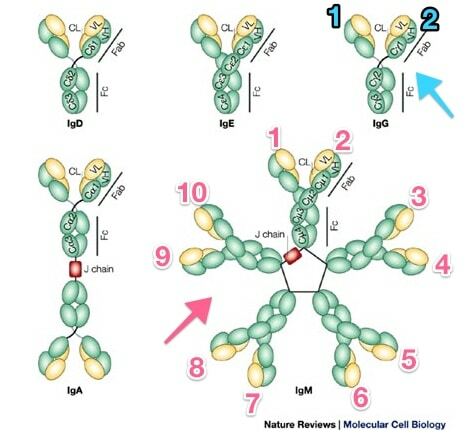 IgG exists as a single antibody structure (a “monomer”) with two antibody binding sites (in drawings, they look like two “tiny little arms”; see the numbers 1 and 2 in blue in the diagram below). You can think of IgG like a toy-sized Tyrannosaurus rex trying to simultaneously grab two large basketballs that are laid four feet apart. One basketball? Sure, he can lay his little hands on one, but TWO is a really big challenge! IgG, like our little T-rex, is pretty good at simply attaching itself to one RBC carrying a target antigen (we call this “coating” the RBC), but most of the time, IgG can’t bind MORE than one RBC at the same time (to form a “bridge” or “agglutinate” adjacent RBCs). So file this fact away, and we will come back to it: IgG antibodies do not generally cause visible agglutination of red blood cells carrying incompatible antigens without a little bit of help. IgM, on the other hand, has a totally different structure (pink arrow in image above). IgM circulates as a “pentamer,” with five individual antibody molecules bound together by disulfide bonds. Since each individual antibody has two antibody binding sites, overall, IgM has TEN “arms,” and grabbing more than one thing at a time is not a problem! IgM is like the evil comic book villain “Doctor Octopus” (if you don’t know him, congratulations, you’re not a nerd), crazily binding RBCs left and right! Here is fact number 2: IgM antibodies very readily cause visible agglutination of incompatible RBCs all by themselves. If all of the important antibodies we saw in blood banking were IgM, we could just mix RBCs and serum together, centrifuge them, and any incompatibility would be obvious right away. But our lives are not that simple! Most antibodies formed from exposure to foreign antigens in the non-ABO blood groups are primarily IgG (this includes the Rh, Kidd, Duffy, and Kell systems, as well as Ss in the MNS system). NOTE: Yes, due to the way the immune system works, there will be an IgM initial response, but ultimately, the antibodies are primarily IgG. As a result of the “tiny arms” problem for IgG I described above, we often won’t see any agglutination if we just mix RBCs with serum containing incompatible non-ABO antibodies. In the distant past, this was a really big problem! However, Dr. Robin Coombs fully described a method to be able to show that non-agglutinated RBCs were actually coated with antibody over 50 years ago. This method became known as the “antiglobulin test,” though many people still call it the “Coombs test” (Dr. Coombs apparently never liked that designation, since he and his group didn’t actually invent the test). The principle of the antiglobulin test – direct or indirect – is this: An antibody targeted against human proteins will bind to those proteins already attached to RBCs and cause visible agglutination. That sentence is the key to unlocking the mystery of both the DAT and IAT. Let’s break it down part by part. Anti-human globulin is prepared by injecting a non-human (traditionally rabbits and more recently mice) with human antibodies and/or complement. 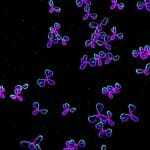 When the animals produce their own antibodies against the human proteins, the antibodies can be harvested directly from the animal’s serum (these are “polyclonal” antibodies, containing a mix of specificities). Alternatively, the plasma cells making the antibodies can be isolated and fused with eternally dividing malignant plasma cells, and the resulting antibodies are purified to make “monoclonal” antibodies (by definition, reacting against only one epitope). Whether monoclonal or polyclonal, anti-human globulin simply seeks out human immunoglobulin and/or human complement proteins. 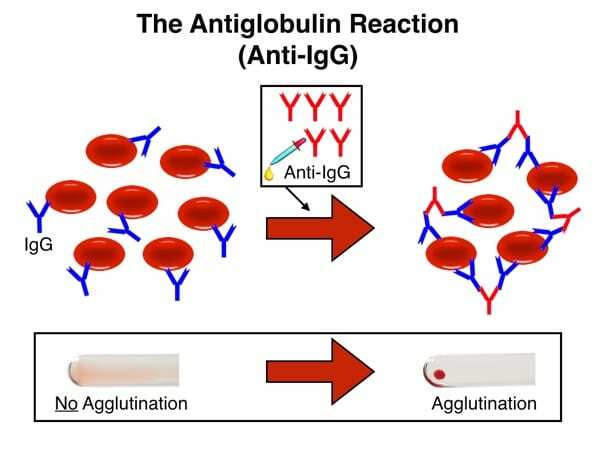 If a target antibody or complement component is already attached to an RBC that is being tested (either because we mixed an RBC with an antibody in a test tube in the laboratory or the antibody or complement attached itself to the RBC in the body), AHG is made to be very good at binding directly to that target antibody and/or complement. 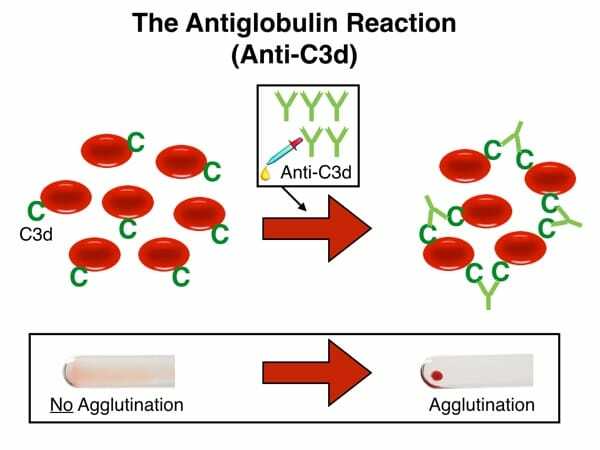 Visible agglutination occurs when the antiglobulin reagent binds to either antibody or complement on the RBC and “bridges” adjacent cells into a clump (see images below). What you see is the LAST step of ANY antiglobulin test, either the “direct” or “indirect” version. The difference between the DAT and the IAT comes from HOW and WHERE the RBCs being tested get coated with antibody. So, now that you understand the last step of any antiglobulin test, whether IAT or DAT, let’s go back and describe how we start these tests, and that will help you understand why one is called “direct” and one “indirect.” It really all comes down to how the antibody or complement gets attached to the RBCs in the first place! The IAT; Tricky, tricky blood bankers! The Indirect Antiglobulin Test is incredibly common, but most people don’t realize that fact. 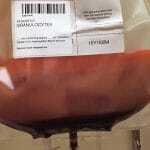 Nearly every time blood banks prepare a person for transfusion, for example, we do an IAT. To be tricky, though, we usually don’t CALL it an IAT! 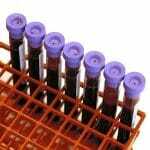 The last test is commonly known as an “antibody screen,” and it can be performed in several different ways and on multiple different testing platforms (a topic for another post). Regardless of how we do it, an antibody screen must, by definition, include an evaluation using anti-human globulin. In other words, all antibody screens are indirect antiglobulin tests. So, when a clinician or nurse asks about an “Indirect Coombs,” what they mean, whether they know it or not, is, “has an antibody screen been done?” That fact gets really lost on clinicians sometimes, and it’s understandably confusing. Think of it like this: An antibody screen is a laboratory test name which utilizes an Indirect Coombs, or IAT, test method. One is a test, one is a test method. It’s the same as saying, do you want chicken for dinner, or fried chicken? One is a food, one is a food preparation technique. See the difference? Note: The antibody screen is not the only situation when an IAT is done, just the most common. See the list at the bottom of the post for the most common uses of the IAT. Again, notice that the last step is exactly the same in the DAT and the IAT! The only difference is in the first part: Where the antibody-complement-RBC interaction happens (In the body: DAT. In the lab: IAT). Remember that while the images above show antibodies against IgG, the anti-human globulin reagents I described above may also target complement components on the RBC. When antibodies bind to RBCs (especially IgM antibodies, but also IgG to a lesser extent), complement proteins may also be bound. We can use AHG that reacts against either complement components (we typically call this “anti-C3”) or IgG (“anti-IgG”) or BOTH (“polyspecific” AHG). Most facilities use a polyspecific AHG reagent first when performing a DAT. If that reaction is positive, they will do separate testing using anti-C3 and anti-IgG to tease out more precisely what caused the polyspecific DAT test to be positive. OK, I hope that helps you understand the differences between the two tests. Let’s close this post by listing the most common situations where the IAT and DAT are used. Next month, we will continue this discussion by outlining the meaning of a positive DAT. Until then, comments are welcome below! 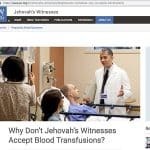 Instead, I discussed the interpretation of the DAT with the brilliant Sue Johnson on the Blood Bank Guy Essentials Podcast in February 2017. Check it out! By the way, I explained to the young doctor I mentioned at the top that the “indirect Coombs” test that he was looking for was, in fact, just the antibody screen. At that point, he grumbled something that sounded like “well, why don’t they just CALL it that?” and we parted ways. Just another happy day in the life of a hospital blood banker! I think you need a shiny cape. This article just elevated you to superhero status in my book. Not even close, Sue, but thanks! If a BB topic is not clear to me, I go to bbguy website. Thank you for all you do. I used this website a lot when I was preparing for my SBB exam. Very helpful. Thanks. I’ve saved the home page in preparation for the SBB program! It’s nice to know it’ll be helpful! Both informative and humorous as always! 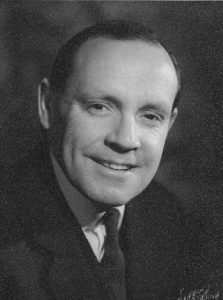 One small “correction”, I was lucky enough to attend a lecture by Robin coombs in Bristol (UK) in the 1980’s when he happily referred to “my test”, so I don’t think he minded the name too much! Julie, thanks for that comment! I had always heard that he didn’t like it being called by his name (and I also read somewhere that another group had published the same basic idea several decades earlier but possibly in another language, unbeknownst to the Coombs group), but I’m glad that he took pride in it! 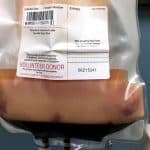 It is one of the most spectacular contributions to transfusion safety we’ve ever seen! I just wish it didn’t confuse people so much. AHG used in the last step belongs to igM or igG??? Generally speaking, it is a high-titer and highly active IgG, though there are exceptions. Monoclonal anti-C3d is commonly IgM, for example. Thanks for the question! Glad you liked it, Sandra! My specialty: Using weird stuff to help people remember things! This is brilliant! I always understood the difference between IgG and IgM antibodies but I never could grasp the real difference between the two tests. The comparison of the DAT and IAT to ‘in the body’ versus ‘in the lab’ really got it straight in my head. 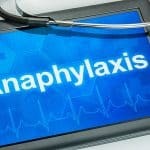 Informative and funny blog post as always. Thanks Joe! Carly, I’m so glad that the post was helpful to you! I am trying to finish a post on the meaning of a positive DAT this week, so stay tuned! Thanks for writing. Finally someone showed me the distinctions between the two tests in a way that is easy to understand! A couple of my classmates and myself accidentally stumbled upon your podcasts and honestly, if it hadn’t been for you, we would utterly fail our Blood Bank course! Love your methods and your humor! Gail, I’m glad you found it useful! I’m also honored to be of service to you and your classmates. As for my humor, well, I’m an unashamed goofball, so I’m just glad not to annoy you! Great review material before my exam! Thank you Dr. Joe Chaffin, as always!!! I’m honored to help you! Roxanne, if you mean that you were told you have a positive DAT and that kept you from donating, then in most cases, you would still be able to get a transfusion if you needed to. 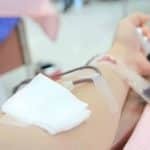 Please consult with a local transfusion medicine expert for more information, as that expert could more fully evaluate your situation. If one has a positive indirect Coombs test will they also be positive for a direct test? Regena, the answer to this is “not necessarily!” The IAT (indirect antiglobulin test) detects the presence of an antibody that will coat RBCs in the laboratory, or in a test tube, gel column, or whatever. The DAT (direct antiglobulin test) only detects whether or not the person being tested has either antibodies or complement on their RBCs in the body. The post above discusses this critical difference. So, for example, if someone who is D-negative develops anti-D, they will have a positive IAT (we would just call that an antibody screen), but not a positive DAT (unless it was positive for some other, unrelated reason). However, what I wrote isn’t always true. Imagine another case where someone has an autoantibody that reacts against all cells, including her own. In that case, both the IAT and the DAT would be positive because of that antibody. I hope that helps! why don’t they write med school books in this style? I’ve been trying to understand this topic from the “Hoffbrand essential hematology” and from THE Harrison but your blog really gets the work done. Thank you very much! I’m very glad you found it useful, Chiara! I think that medical textbooks are hampered by too much formality, and that’s probably the way they have to be. For me, I can be as silly as I want, as long as I’m accurately portraying the information, so I have that advantage over medical text writers. You deserve a crown! Your content here help a lot with my discussion to my immunohematology students. I like the way you presented a technical topic to a no-brainer explanation. Glad it was helpful, Terence! I know not to centrifuge a specimen prior to performing the DAT, but what I can’t remember is WHY that is the case. Can you refresh my memory? Just starting my Job as a lead – biomedical scientist of a Hospital blood bank in Austria. Your blog is what i will suggest all my student-interns, young doctors,… . I’m honored you feel that way, Mike! Best of luck. I can’t describe it enough, but in simple word THANK YOU DR. I thank my instructor who introduced me to your videos! You are welcome! Glad you are finding the information useful. I am trying to understand the answer to these questions if you could help? If you have a positive IAT and a negative DAT what antibody do you expect? And if you have a positive IAT and DAT what antibody is most likely the cause? From my reading it sounds like an autoantibody would be he cause if both positives, but I thought alloantibodies are the causes of hemolytic reactions from a transfusion for example which would be an alloantibody right? So, generally speaking, someone with a positive antibody screen and a negative DAT most commonly has an alloantibody, while someone with a positive antibody screen AND a positive DAT may have either an autoantibody, an autoantibody PLUS an alloantibody, OR an alloantibody reacting against recently transfused red blood cells from a donor. So, the answer is not simple. You are correct that most hemolytic reactions are caused by alloantibodies in a a patient that react against substances on red blood cells they receive (but the most common ones are caused by antibodies to ABO antigens like anti-A and anti-B). Autoantibodies can also cause hemolysis, but just by attacking the patient’s own red blood cells. It’s more complex that that, but that should give you a start. I’m very honored to be of help to you, Vidda.